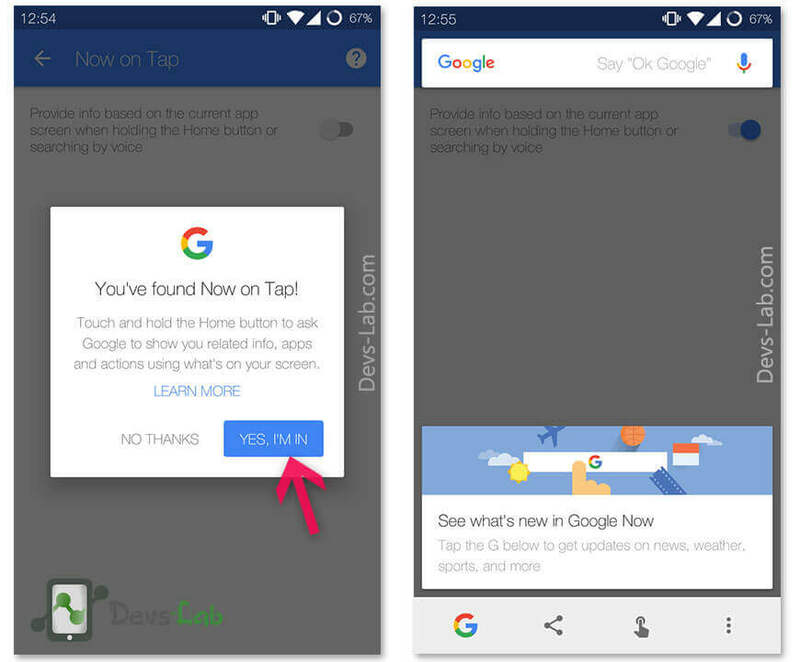 How to turn on/off Google ‘Now on Tap’ on Android device. In just a short amount of time with Android 6.0 Marshmallow, Google Now on Tap has become an inseparable piece of how most of us have been using our Android. Now on Tap extends that even further. 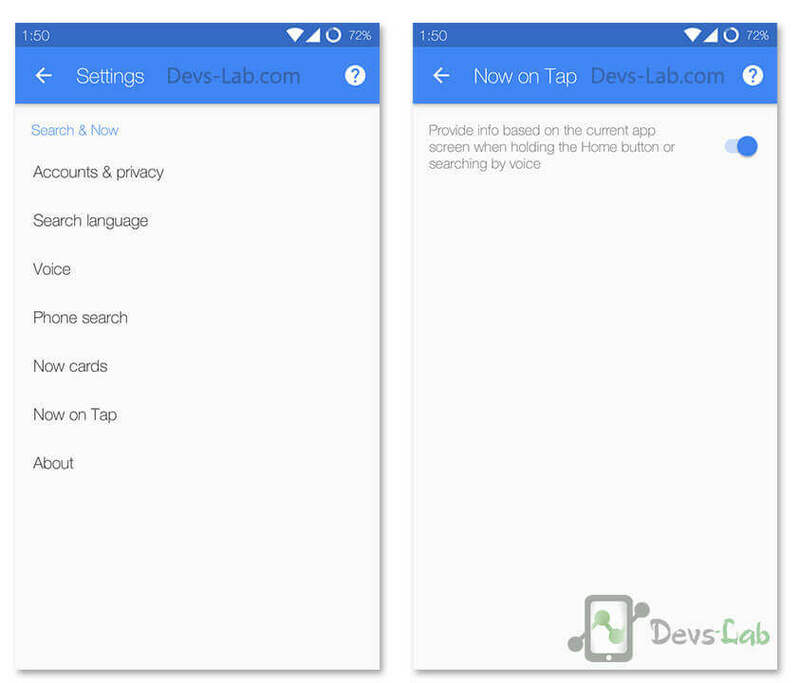 Android apps can expose their data to Now on Tap. When you open Now on Tap, it scans the screen for information you might want to know more about and suggests relevant “cards.” For example, let’s say you’re listening to a song in an app. Pulling up Now on Tap might present you with more information about the artist. Or, let’s say you’re having text conversation and someone mentions a restaurant. Pulling up Now on Tap will show you a card about the restaurant so you can see reviews and directions. That’s the goal here, rather than manually performing a search for the person, location, or something else of interest, you pull up Now on Tap and it automatically searches for what you want. Of course, it isn’t perfect, especially in its first release. In the top left, tap Menu > Settings > Now on Tap. Step 1. Launch Settings App in your device. 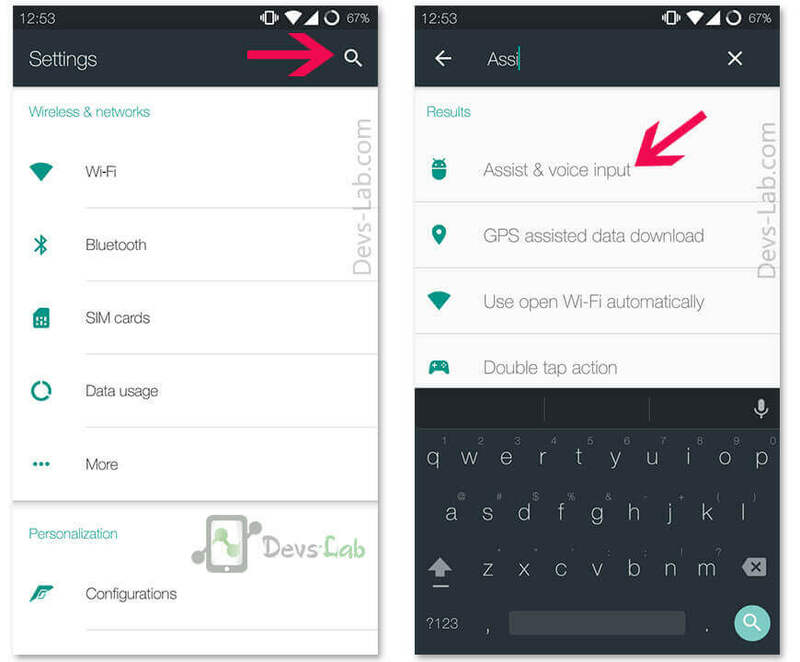 Tap on the Search button & type “Assist & Voice Input“. 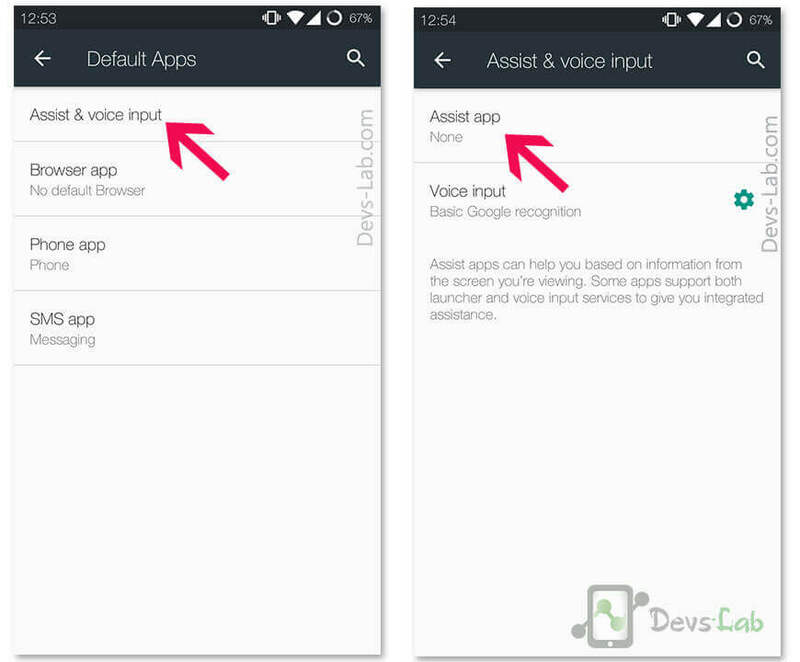 Click on Assist & voice input. Step 2. After opening Assist & voice input, again click on Assist & voice input. Now Tap on Assist App. Step 3. 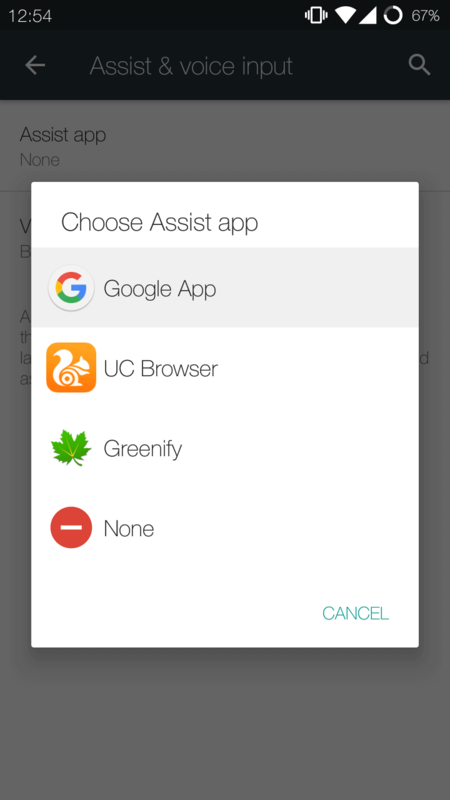 Once you have click on “Assist App”, you will see a Popup with list of Apps. Just select Google Now. Step 4. 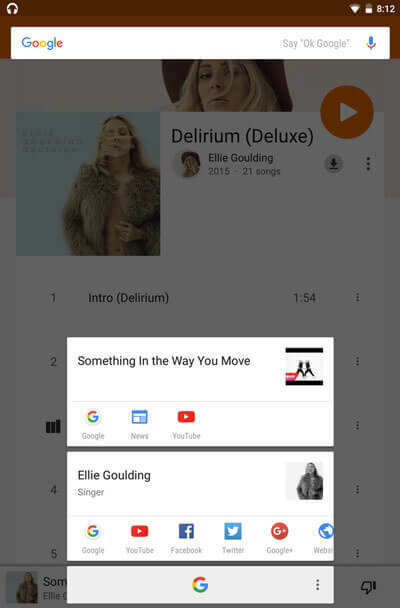 Now launch the Google Now App in your device. Tap on Menu > Settings > Now on Tap. 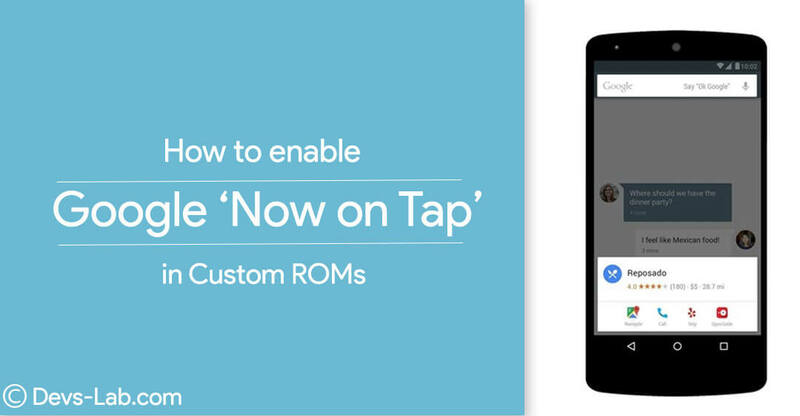 Now you’ll be able to enable Google Now on Tap feature. Just click on toggle button to enable. You’ll be greeted with “You have found Google Now on Tap”. Click on Yes, I’m in. That’s it! 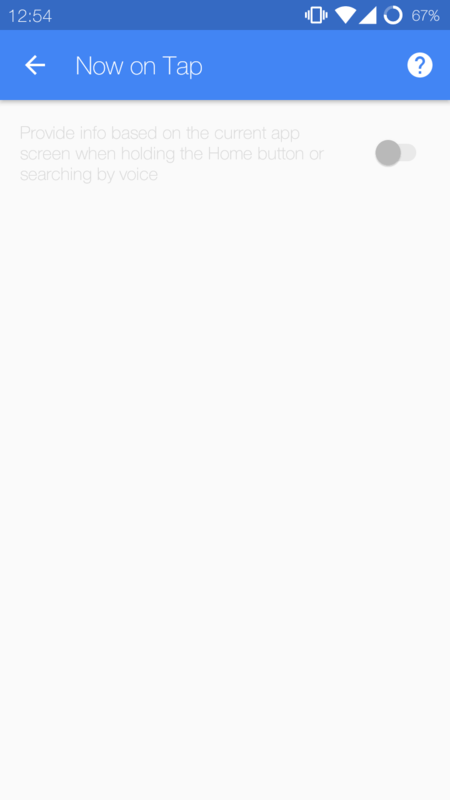 You have successfully enabled Google Now on Tap feature. Just hold button to use this awesome feature. Now on Tap shines in situations like finding a restaurant or movie information that you discuss with a friend over text message. But after living with it for a while, I’ve discovered some other ways that Now on Tap will reduce the number of steps you would take to perform other actions. This will get much more useful over time as more third-party Android apps opt into this feature and as Google extends Google Now on Tap to understand more types of data. For now, Google’s Now on Tap shows what’s possible with deep integration of Google’s “knowledge graph” into the Android operating system.